Are you in the flow? If you are then, according to Flow Theory, you are working and learning in a state that can be described as a heightened state of being. Maybe it can be said that even The Force is with you in those times! 🙂 If you are in the flow then you are learning as effectively as we were when we were babies. Arguably babies are in the flow most of the time unless they are upset about some aspect of their physical state like hunger. I believe that Flow Theory* can bring some valuable insights to the experience of being a successful language learner and can add another valuable dimension to our understanding of how we can be such a learner. 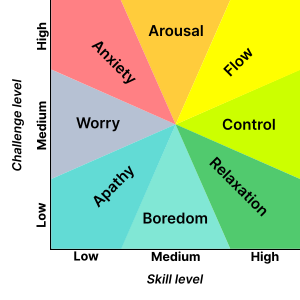 Flow theory was the brainchild of Mihály Csíkszentmihályi, a Hungarian professor of psychology who said that in flow, our emotions work to support us in what we are doing. Mihalyi explained that people are happiest when they are in a state of flow. Flow he described as a state of concentration or complete absorption in what you are involved in. In this state nothing else seems to matter. The idea of flow is identical to the feeling of being in the zone or. In the flow state, we are intrinsically motivated or completely immersed in what we are doing. Take a moment and look back in your life and I am sure you can find times when you were in this state, when all other concerns just seemed to evaporate and you were completely absorbed in what you were doing. Csíkszentmihályi has described flow as “being completely involved in an activity for its own sake. The ego falls away. Time flies. Every action, movement, and thought follows inevitably from the previous one, like playing jazz. Your whole being is involved, and you’re using your skills to the utmost.”** I believe we can go in and out of this state quite easily and not even realise it. 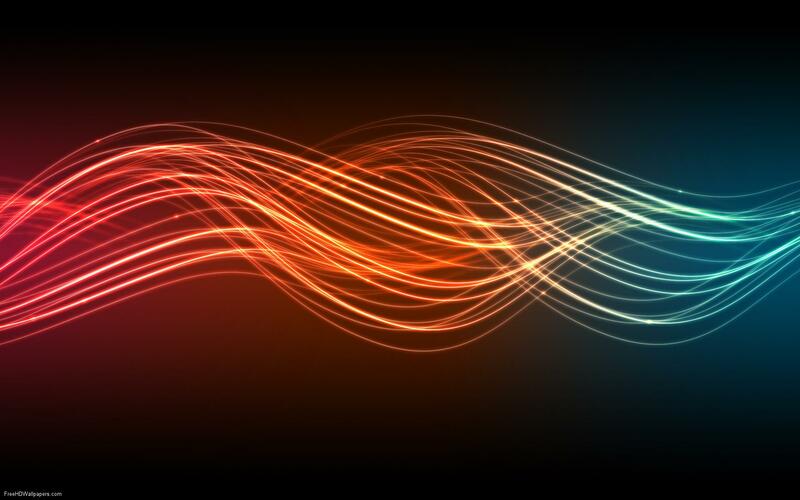 People with a higher emotional intelligence are ones who are more likely to experience moments of flow as they are more open to the subtle forces that people in the flow typically need to become aware of. They are also the the ones who are going to be less encumbered by inner blocks and resistances. To achieve a flow state, there needs to be a balance between the challenge and the skill. If the task is too easy or too difficult, flow will not occur. The skill level and challenge level cannot be tuned too high or frustration will result. On the other hand if they tuned too low then apathy will result. The table below illustrates the various states we can get into as the skill level and challenge level find differing levels of balance. Goals have been identified by many as an essential aspect to being successful in any area of skill. The problem that many people have is that the goals they have are not clear enough. Once we make our language learning goals measurable then we can see where we need to go and can assess whether we have reached our target. This way we can accept greater responsibility for our actions. The importance of feedback is common sense. How could we improve anything without acting on the feedback we get? Teachers and others play a role here in informing us about our efforts, however our own role in this is crucial if we are to keep progressing. Feedback enables us to see whether what we are doing matches our intentions (conscious or unconscious). It is our choice whether we act on that feedback. If we continue to not act on feedback, eventually we will become oblivious to it. Focussing and concentrating on the task at hand is clearly another commonsense requirement. When we do this we can start to notice gaps or differences in our language. However our efforts here can be watered down if we are dividing our attention (not on the phone at the same time as you are watching a movie!) or are not committed to the outcome. We experience flow when we lose our sense of time. Time seems to speed by as we are so engrossed in what we are doing. Once we start thinking about something else, the next thing, or yesterday, our hunger, etc then we know we are out of flow. We may go in and out of low may times in the day. To stay in the flow is something that is an acquired skill. If we do that we have learned to be not distracted by interruptions from an outside source or an inside source. So when you go about learning a language be mindful about the kind of classes you join and work you do towards helping you learn the new language. I know that I have been most effective when I am the closest to the experience of being in the flow. I am sure if you cast your mind back over your life there have been times when you too have been there or at least close to it. Reflect on that experience and know that is what you are seeking in your effort to improve how you learn. I know that in some classes I have attended that I have been far from that experience, so far in fact that I have felt disempowered. This is the kind of experience we need to shun and walk away from as all it does is take us the wrong way. So be discerning with how you learn and seek the experiences that attract you and make you feel like you are getting closer to the experience of being in the flow or, as I have referred to elsewhere, being engaged. ** Geirland, John (1996). “Go With The Flow”. Wired magazine, September, Issue 4.09.